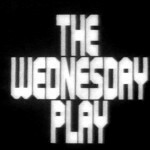 The Wednesday Play (1964-70) is often cited in discussions of 1960s television drama, but normally with reference to only a handful of its most well-known plays. This misrepresents the series as a whole, which comprised over 160 plays. Even some of the dramas from the series’ most acclaimed practitioners, such as Ken Loach and Dennis Potter, are overlooked in favour of their bolder, more controversial plays, with preference given to those that still exist. The neglect of plays erased from the archive is understandable, but a lack of primary evidence is no reason to disregard them entirely. Their particular attributes and secondary evidence demonstrate that many of them are well worth our attention. For example, 1965’s Wear a Very Big Hat is fascinating both as an example of The Wednesday Play’s early attempts at youthful contemporaneity and as director Ken Loach’s first entry in the series. 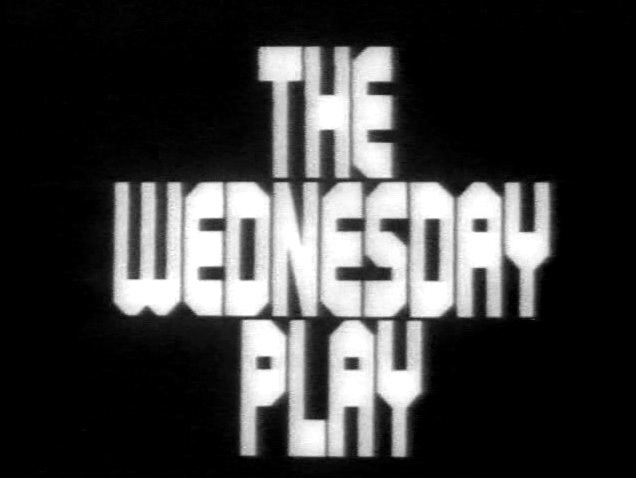 Having launched prematurely in 1964 with “a stimulating season of international drama” – in reality, a string of orphaned productions from the cancelled Festival (1963-64) anthology and Canadian imports – it wasn’t until its first full series in 1965 that The Wednesday Play delivered on its brief for new drama reflecting life in contemporary Britain, as given it by the BBC’s head of drama Sydney Newman.1 This change was effected by producer James MacTaggart, moving over from the cancelled and near-identical First Night (1963-64), and his story editor Roger Smith. The pair brought new voices and creative talents together with more experienced personnel to create a vibrant, modern series. Broadcast seventh in the 1965 season, airing on 17 February, Wear a Very Big Hat was the first full television play for its writer, Eric Coltart, although he had previously contributed to Z-Cars (1962-78). At 65 minutes, it was also Loach’s longest single production so far as well as his Wednesday Play début. Surprisingly, given the number of books, articles and essays about Loach’s career, I haven’t found any coverage of its content, presumably because no recording has survived. While it created no waves at the time and did not seek to intervene in public debate, unlike its more famous stablemates, Wear a Very Big Hat should nevertheless be of interest to students of Loach and The Wednesday Play alike. Coltart’s play is about the young Liverpudlian Johnny Johnson (played by Neville Smith) and his reaction to a social slight. He and his wife Ann (Sheila Fearn) plan a night out to celebrate their wedding anniversary. She buys a spectacular new hat for the occasion. The evening starts well but then the hat catches the attention of bar-room joker Peter (William Gaunt), who briefly snatches it from Ann’s head. Johnny’s sense that his honour has been insulted by this joke is exacerbated by the pub bully Snapper Melia (William Holmes) and friends, who use the episode as ammunition with which to terrorise him. Johnny broods on the insult, daydreaming of getting the upper hand with these perceived enemies. He imagines himself the victor – by turns proud and arrogant, brash and bullying, and coolly sarcastic in his dealings with his tormentors – before he is ultimately able to rise above such pettiness. When Johnny returns to the scene of the original insult he find that Snapper, having just won a darts match, doesn’t even recognise him. The characters and trappings of Wear a Very Big Hat were consciously contemporary for 1965. In the terminology of the time, Johnny and Ann are ‘mods’. They are working-class and young, as was the trend for heroes in British fiction at the time, and stylish. Along with the attention-grabbing hat itself, they represent the upwardly mobile youth of a newly-affluent Britain and their conspicuous consumption on objects of fashion. Johnny uses youthful slang of the day (telling Ann that her hat is “gear”) and the Radio Times boasted that the play’s dialogue has “real regional authenticity – the author Eric Coltart, is a Liverpool toolmaker”, a phrase which hints at class identity as well as location.2 Liverpool was then a fashionable city, associated with youth culture because of its vibrant popular music scene. Loach drew upon the association of location and musical genre, using what The Times called “incidental music of a rather nondescript “pop” type”, later specifying: “the twang and jangle of electric guitars”.3 Loach would build upon this use of pop music as a soundtrack in several of his later Wednesday Plays. Wear a Very Big Hat seems to have been a modest success. The BBC’s Audience Research Report estimated the play was seen by 18% of the UK’s adult population, beating ITV’s 12% share.5 However, Wear a Very Big Hat scored a Reaction Index of 48, which fell well short of the average of 61 for The Wednesday Play series so far.6 Even so, the bulk of the viewer sample made enthusiastic comments, although the report notes that “less than a third can be said to have enjoyed the play wholeheartedly.” It was noted to be “an unusual and well written piece which really captured the moods and feel of life in a big city”, with believable characters and incident. A Sales Representative reported: “This is a breakthrough at last – no involved Freud, no nuclear conscience, no misunderstood youth. Just a very human problem”. The acting was commended and, in general, the quality of production praised. Wear a Very Big Hat was repeated on BBC2 later the same year, on Friday 22 September, under the Encore banner. At some subsequent point its master videotape was erased, as was customary at the time. It’s not known whether any film recordings of the play were made before the tape’s wiping, but if they were none are now known to survive. Coltart didn’t contribute to The Wednesday Play again but did write further television plays, including Doran’s Box for the series’ successor, Play for Today (1970-84), and continued to write for Z-Cars and its spin-off Softly Softly (1966-70), amongst other series. Loach went from strength to strength within The Wednesday Play, and his later career is happily better documented than its early days. With thanks to the staff of the BBC’s Written Archives Centre for their assistance with research for this essay. Originally posted: 15 February 2012. 11 April 2012: Minor revisions. 4 July 2013: Added or amended Daily Telegraph and Morning Post and Sun quotations. 9 July 2013: Minor revisions. 15 January 2014: Added section on Audience Research reports; minor revisions elsewhere. I floated over earlier in search of posts about wiped plays, so was delighted to find this one. Wonderful – thanks.